Back with a bang in 2016! The exciting adventure of movie making for students at Nu Boyana Studios is entering its second year. Nu Boyana Film School gives aspiring moviemakers from all over the world the opportunity to be part of a unique experience to create, learn and participate in the making of a movie. The various courses at Nu Boyana Film School 2016 will cover all stages of what it takes to bring a story to life – from writing the first outlines of a script to putting the final touches in the editing room. The approach of all mentors is very hands-on. It’s all about the practical side of this industry. Learning by doing. And the most important element of Nu Boyana Film School is that everything happens right where it should – in a film studio. The numerous decors and stages will be at the students’ disposal to let their imagination run free and bring to life whatever story they want to tell. The studio’s potential is limitless to film periods and genres. Some of the productions filmed at the studio are The Expendables 3, The Black Dahlia, Septembers of Shiraz, Automata and London Has Fallen. The students will be interacting with professionals with an extensive background and learn the importance of each department. 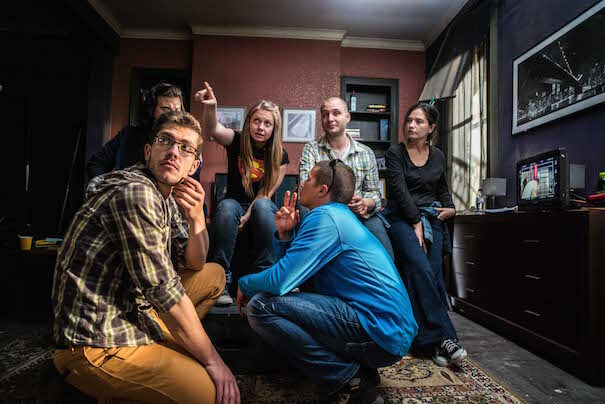 Interaction is a very important part of the Nu Boyana Film School. All mentors strive to hone and develop each talent so it is ready to enter the competitive world of the movie industry. Another goal is to introduce filmmakers to each other and create potential partnerships. Clearly teamwork is a key word in the movie making process. The curriculum will follow the chronological process of creating a movie starting with Screenwriting. Storytelling is a craft, which requires talent and skills. The Screenwriting course is aimed to shape and develop the writer’s potential. It’s an exciting journey of learning the secrets of a Hollywood script. The big finale of this course is the possibility to see your story come to life. Last year Aleksandrina Kozovska’s script was chosen by a professional jury and became a feature film, which is now at its final stages of postproduction. Making The Movie is a course, which offers the possibility to experience all stages of the filming process. 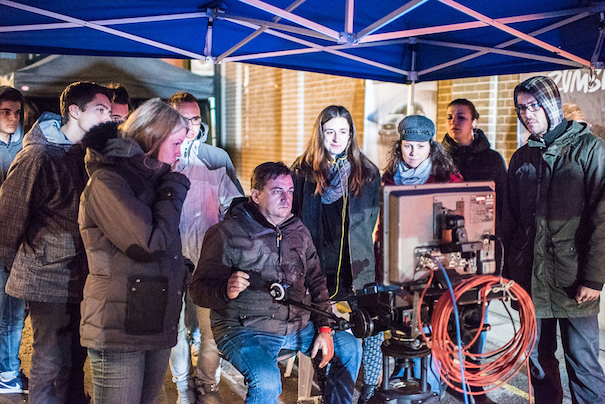 The students learn on set mentored by producers, cinematographers and directors. 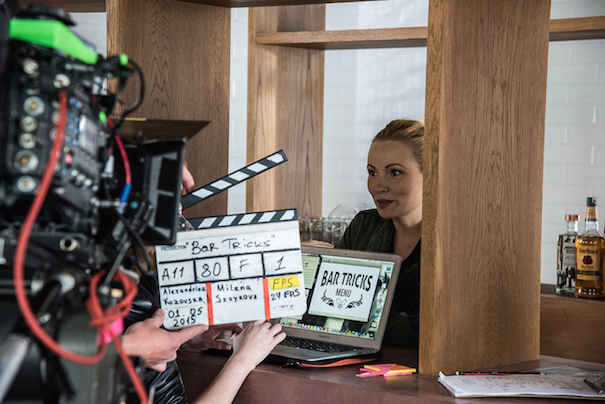 The dynamic environment quickly puts the students right in the middle of the action with invaluable insight to the know-how of a film production. The Post-production course involves editing and sound classes. Students are introduced to essential techniques required by the movie industry. Focusing on furthering professional skills the Nu Boyana Film School strives to encourage and discover new talent with great career potential. If you feel like you want to be part of this community, please apply with a resume and a motivation letter at students@nuboyana.com. In your letter, you can tell us which classes you would prefer to join. Throughout the year we plan courses in Screenwriting, General Production, Directing, Cinematography, Sound, Visual FX, Post-production, Acting.